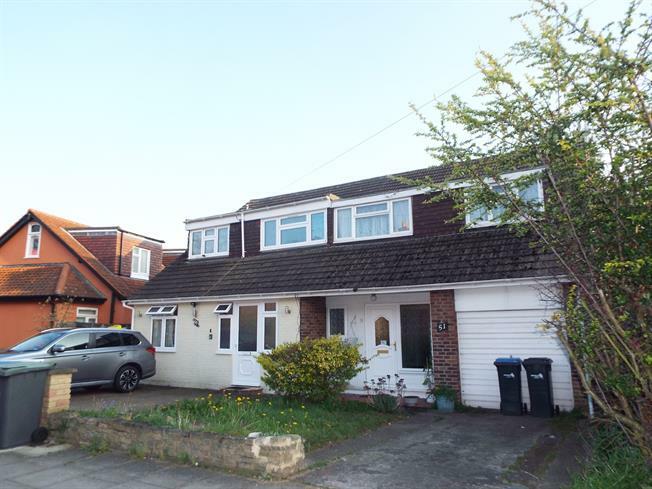 4 Bedroom Semi Detached House For Sale in Enfield for Asking Price £410,000. Look no further this property is ideal to watch your family grow into and enjoy the comforts of life. This semi-detached four bedroom property located close to train stations. The property benefits from three double bedrooms and one single, downstairs spacious living room along with a generous family room / dining area. This property also benefits from a spacious modern style kitchen and bathroom. To the side of property has a spacious garage along with a driveway. This property also benefits from a good size maintainable garden. This property is equipped with double glazed windows throughout. Early viewings highly recommended.